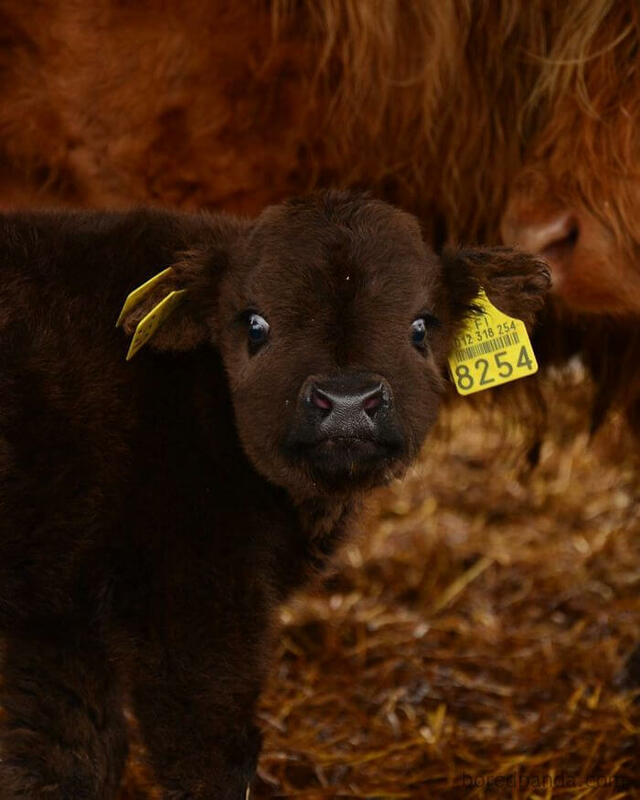 Did we mention yet that here we adore everything awesomely cute? 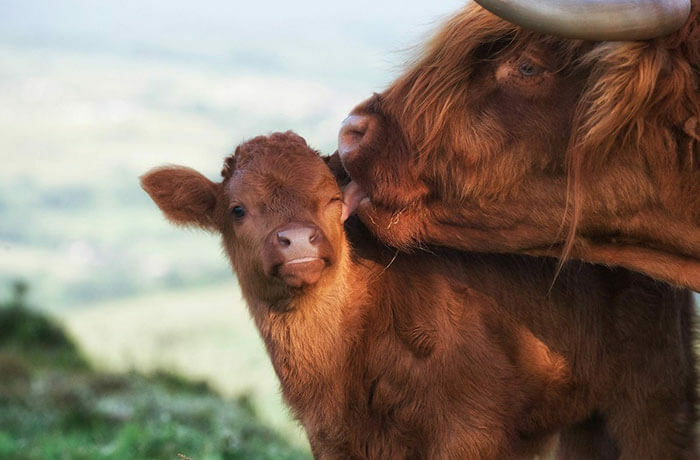 We did, didn’t we… Even if we didn’t mention that before you had to figure it out yourself browsing through our site and numerous galleries of cute little fellows such as kittens and puppies, but also many, many more adorable creatures which cuteness often goes overlooked. 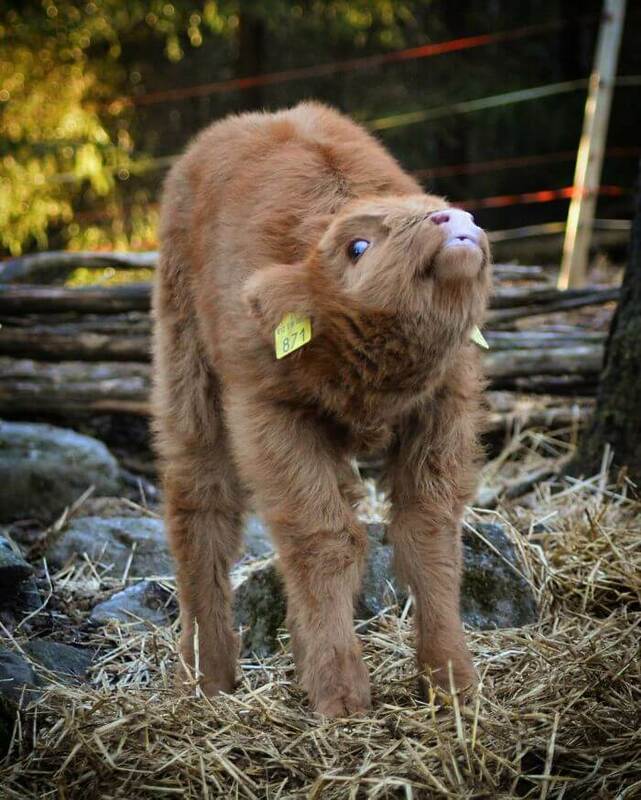 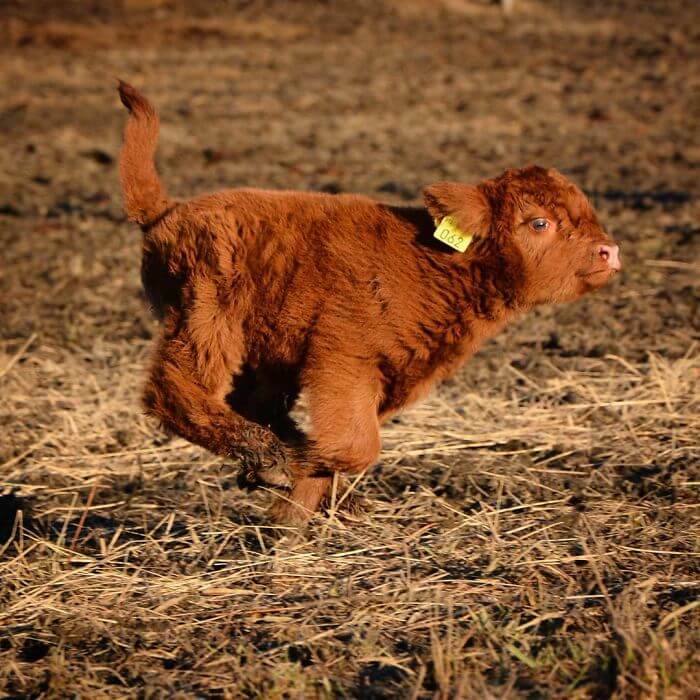 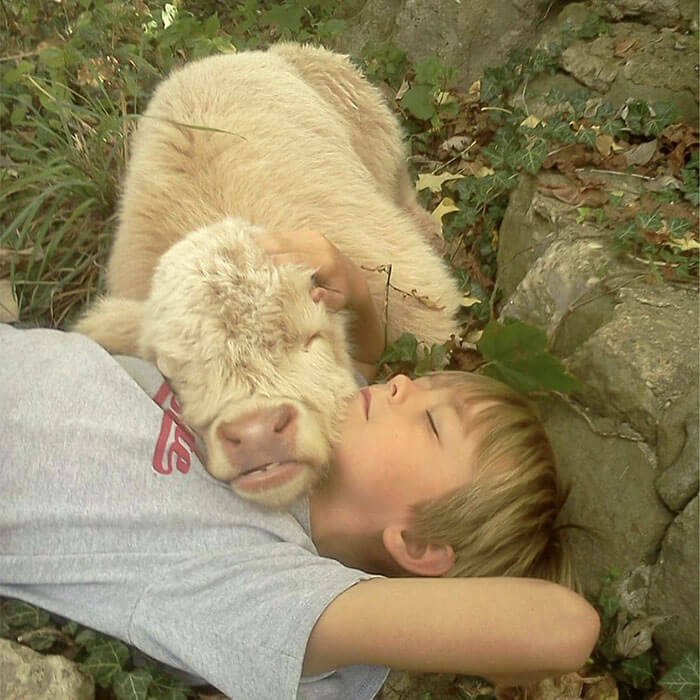 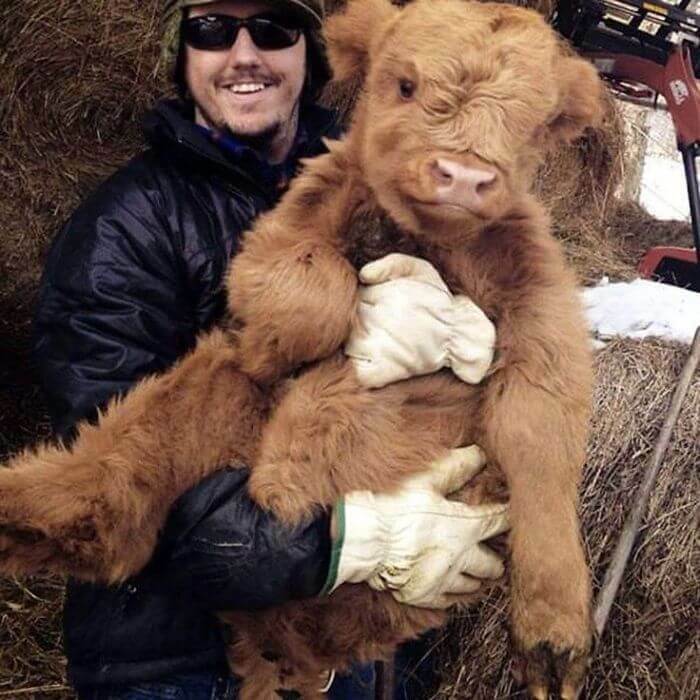 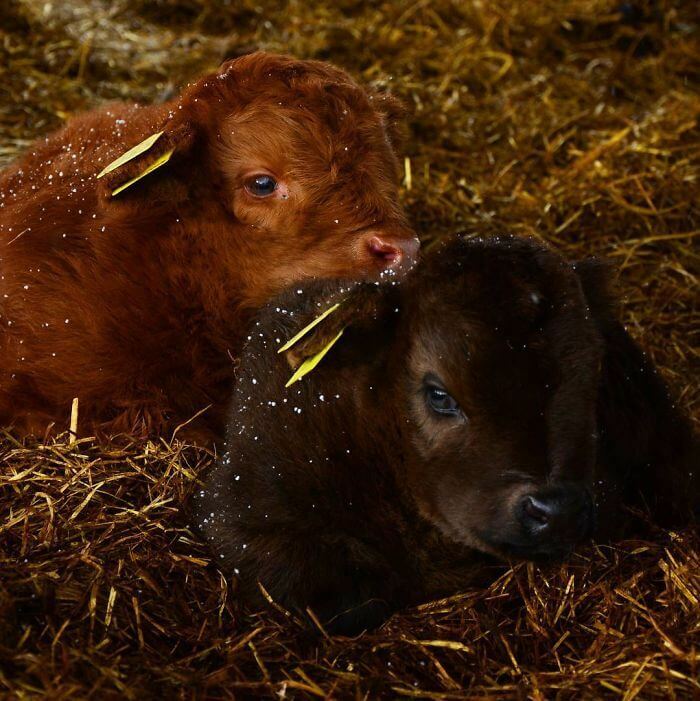 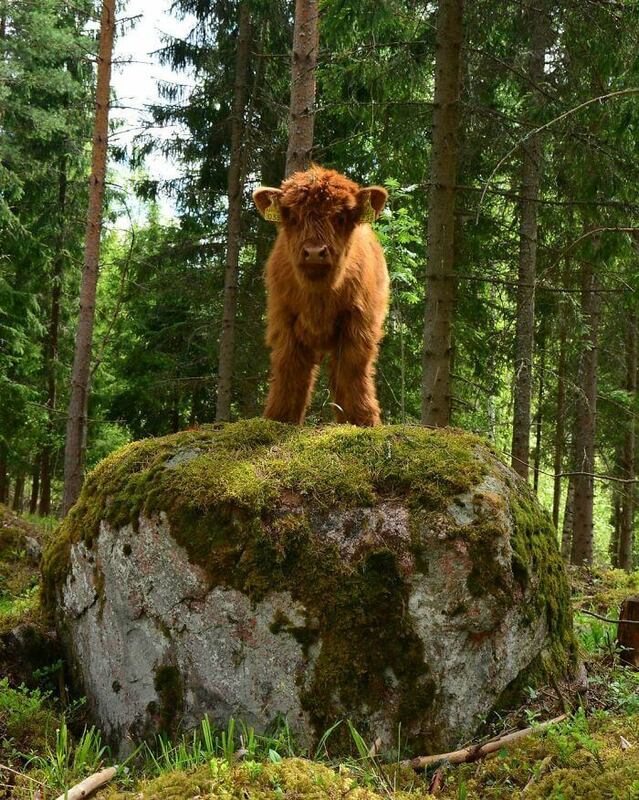 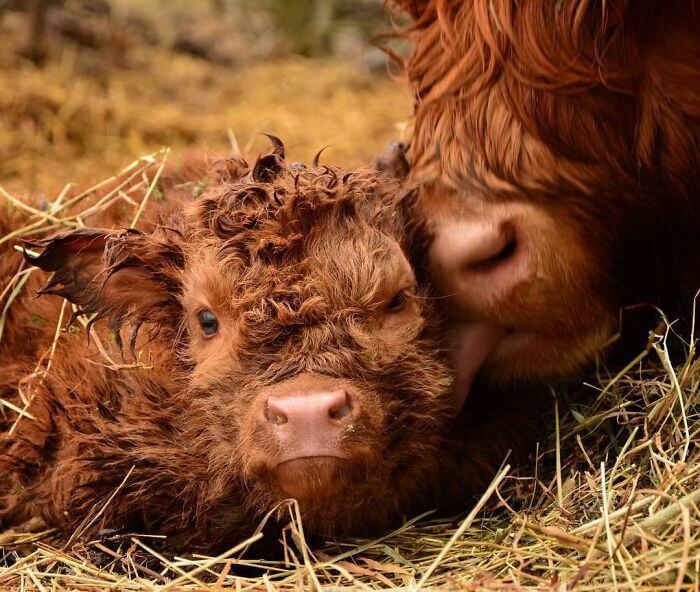 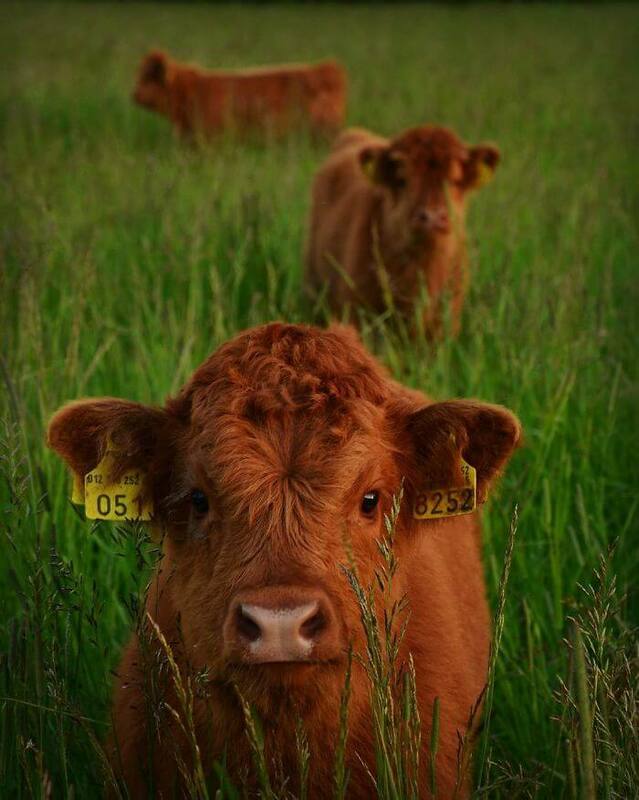 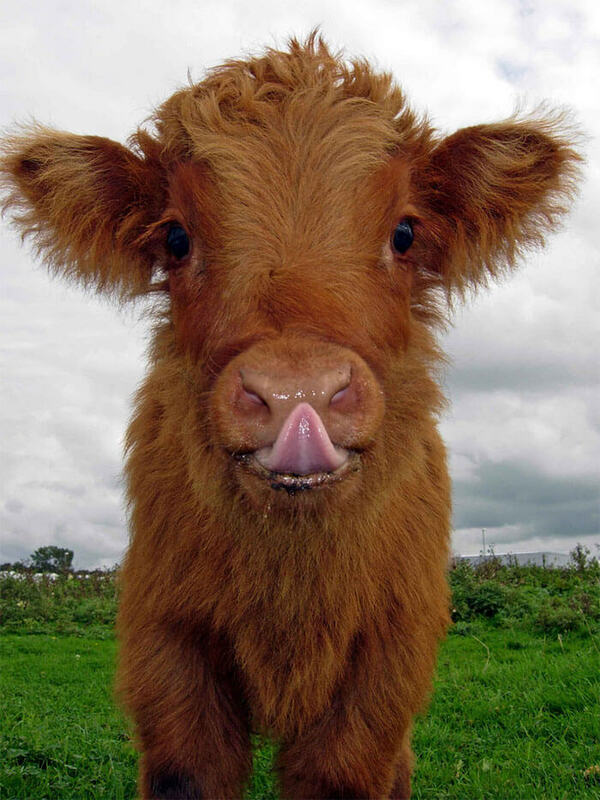 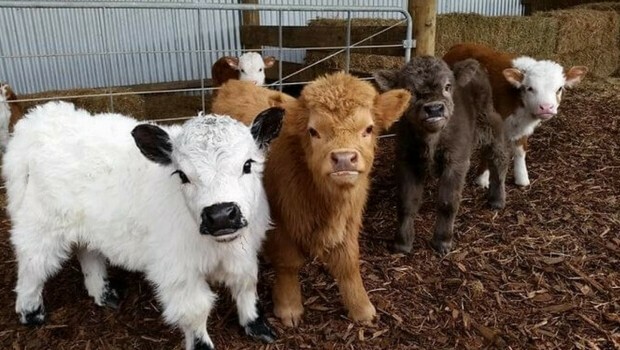 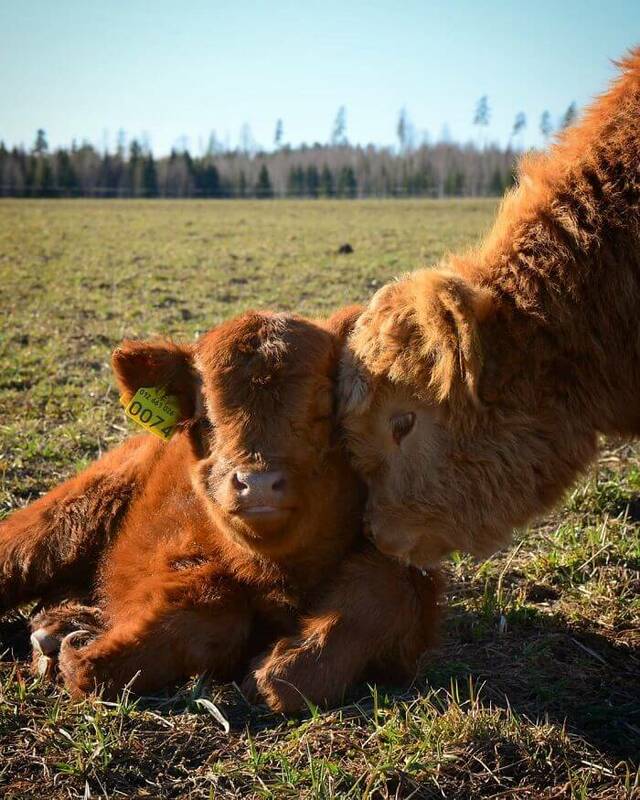 And here we have another example of that kind – adorably cute photos of baby cows. 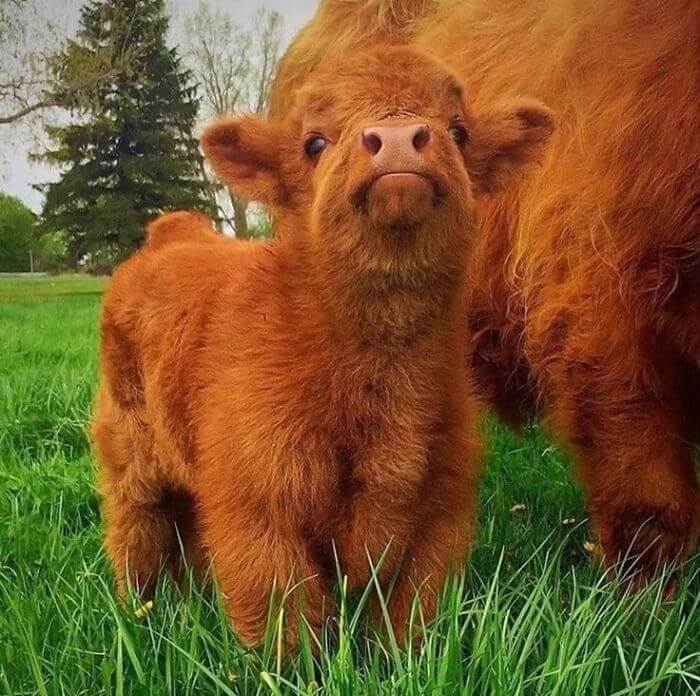 So, if you feel like you might have (or need) a huge dose of cuteness, you are at the right place. 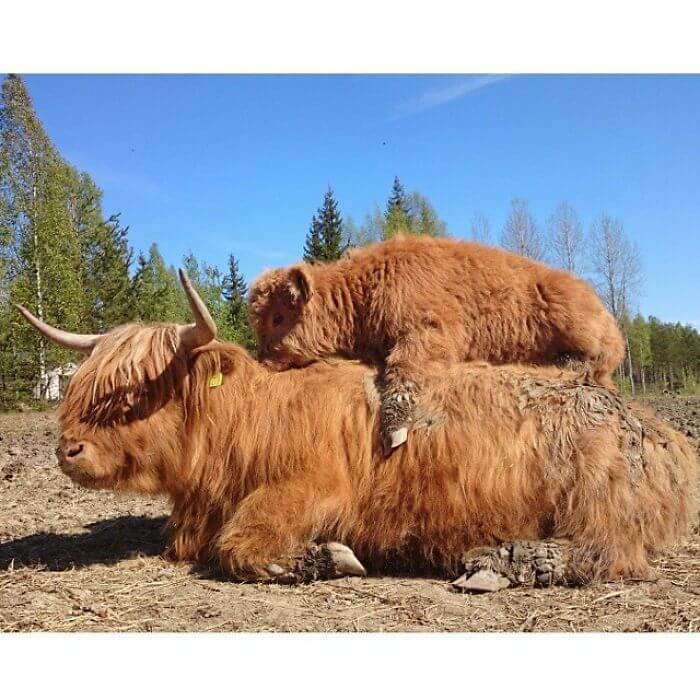 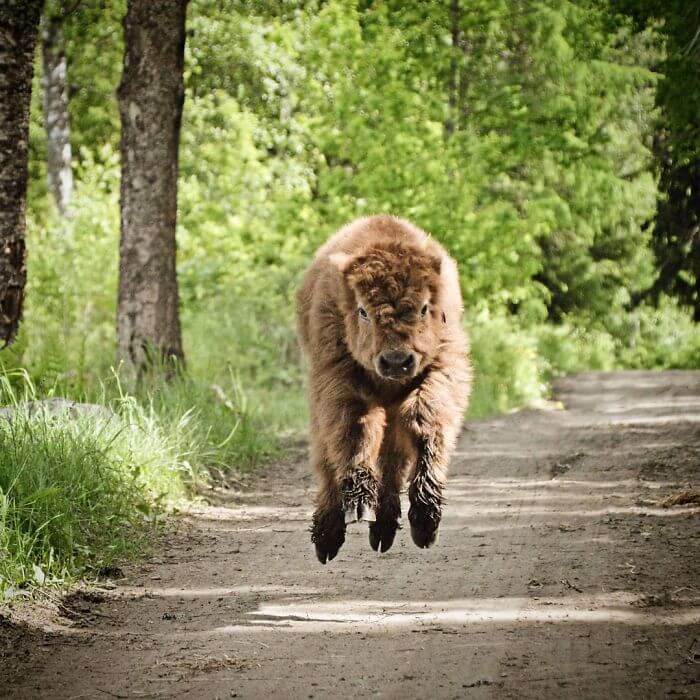 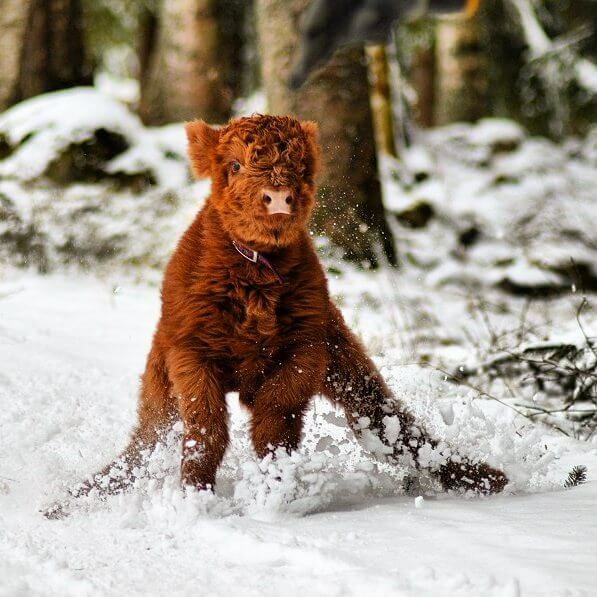 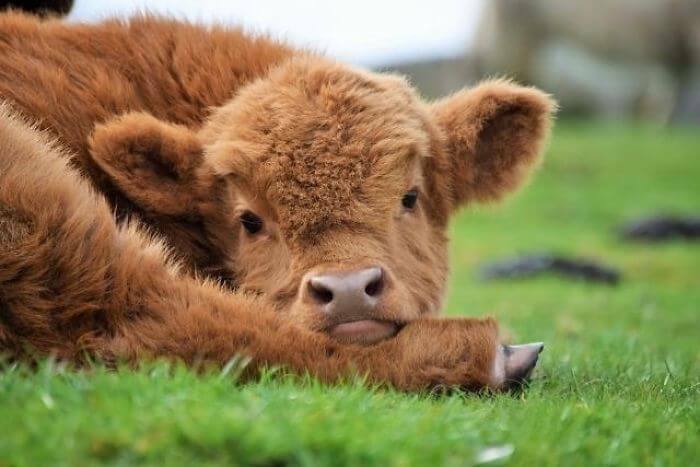 In the gallery below is a huge collection of photos featuring adorable baby cows of a particularly interesting breed – Highland cattle. 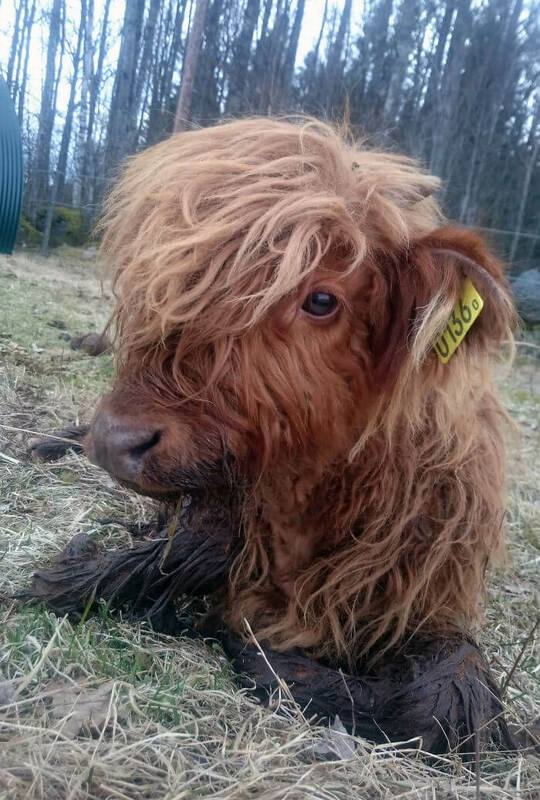 This breed originates from Scotland. 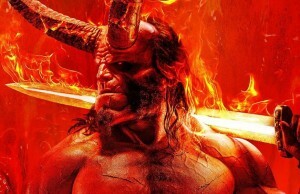 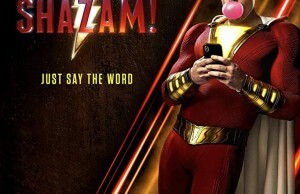 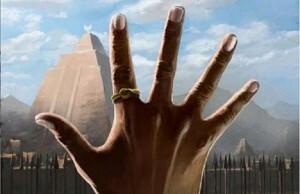 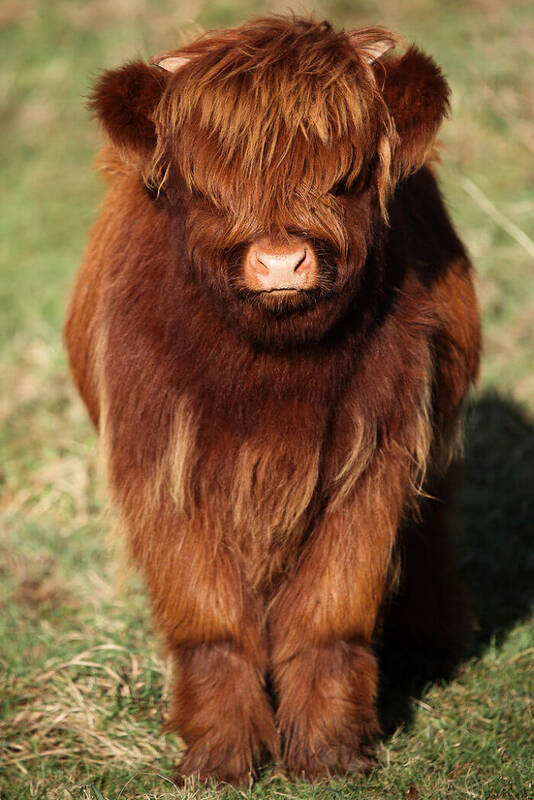 You’ll recognize it by its specific long wavy hair. 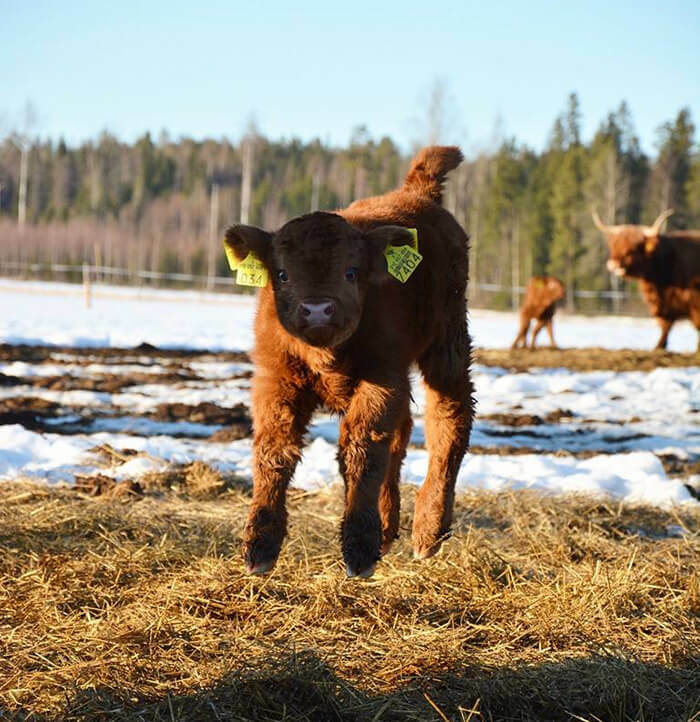 The specific coat that makes this breed incredibly cute, almost heart melting, has its own purpose, of course – it helps them stay warm in incredibly harsh weather conditions such as heavy rains and strong winds. 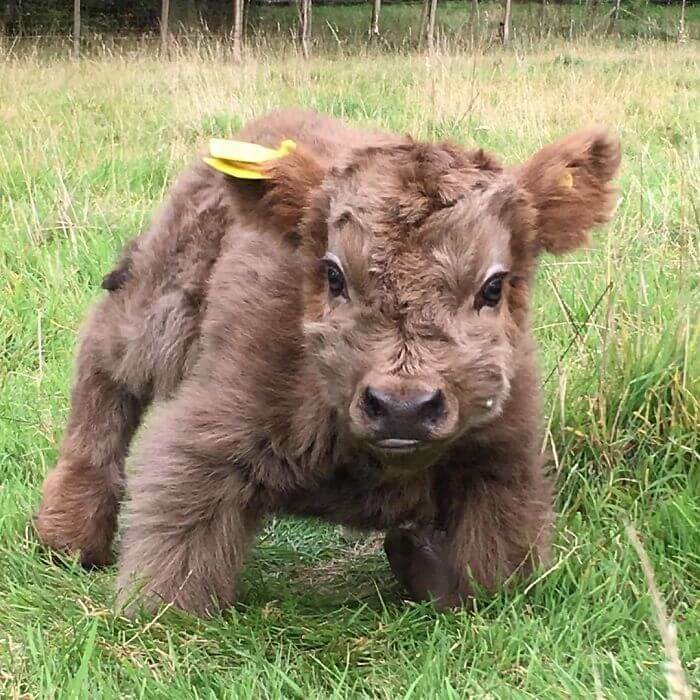 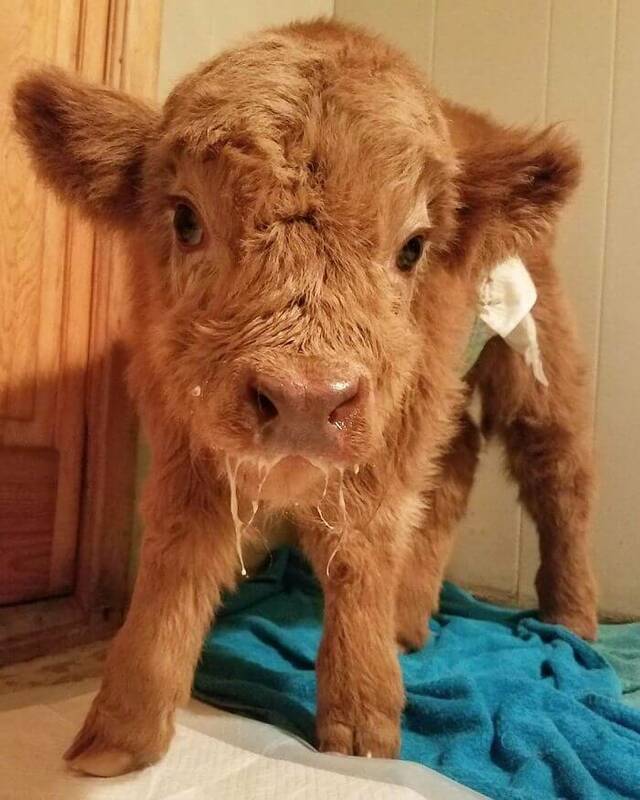 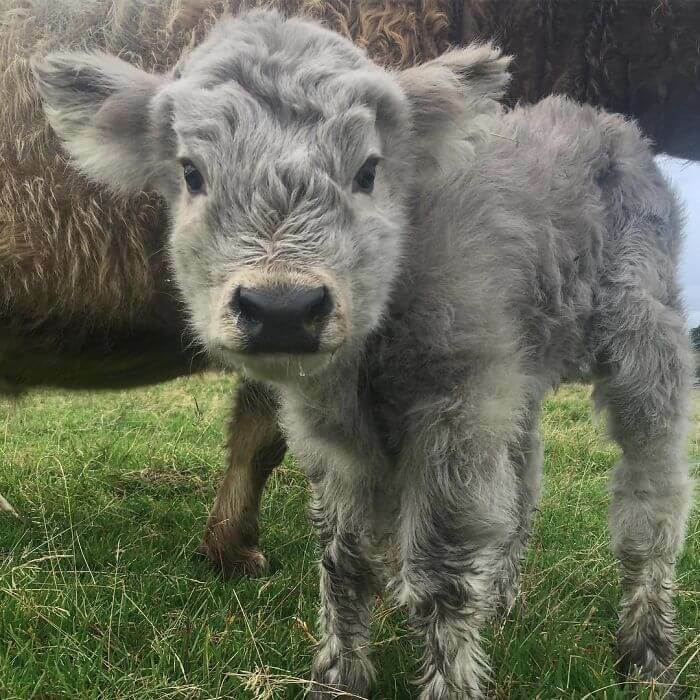 The unusual double coat consists of an oily outer layer, the longest of any cattle breed, and a downy undercoat, and of course, it’s awesomely cute as we didn’t mention before, I’m sure! 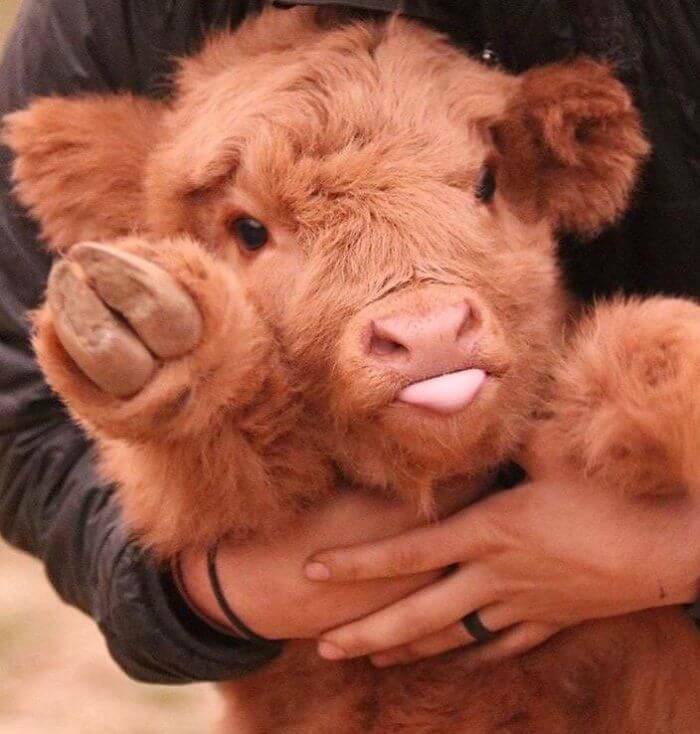 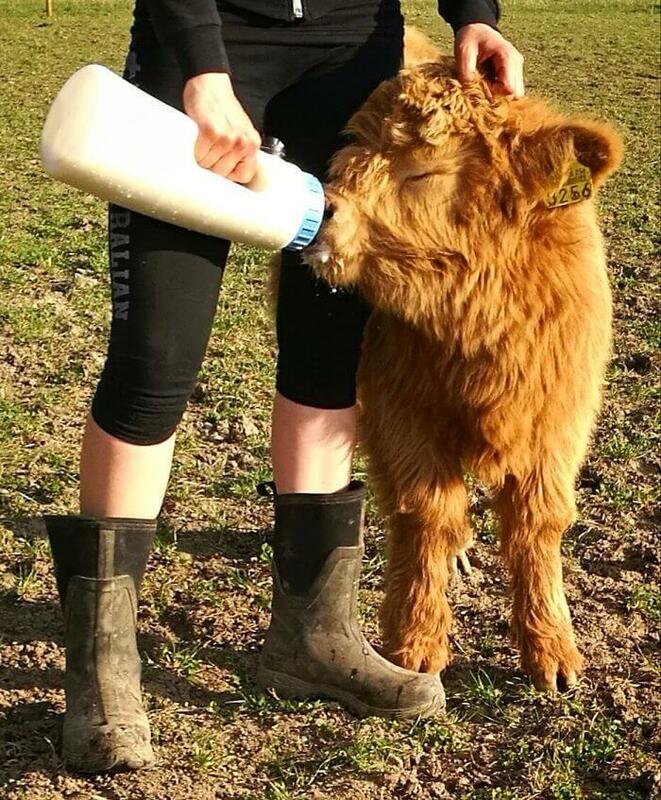 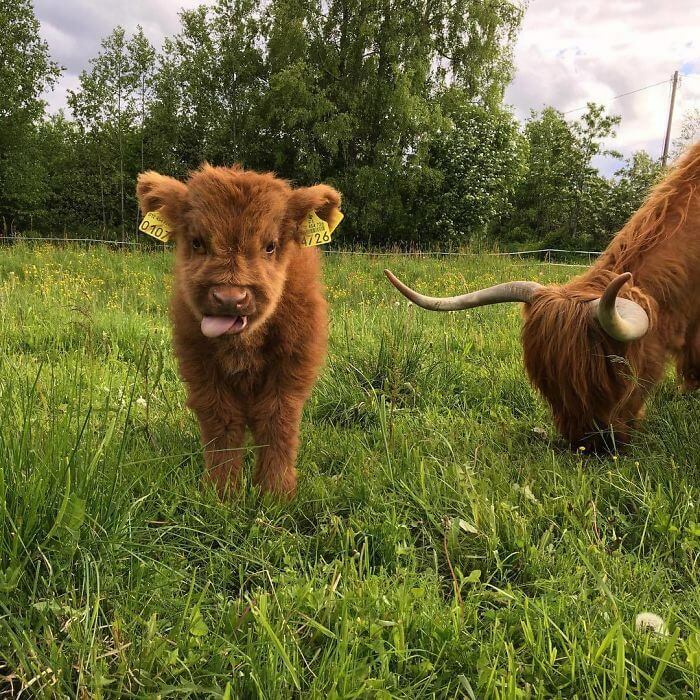 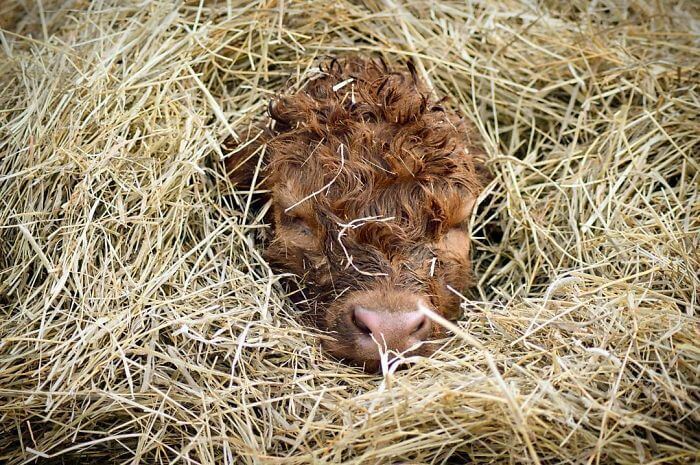 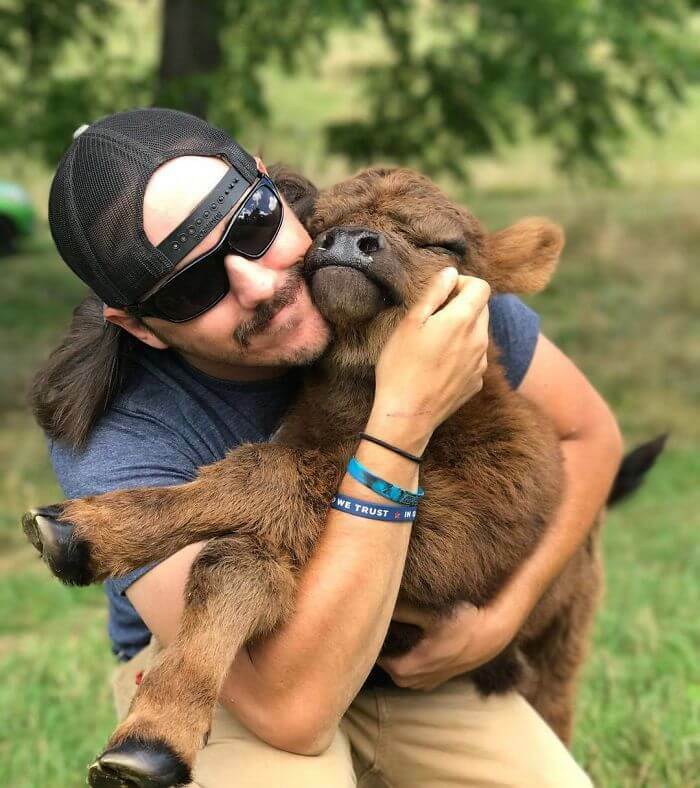 Take your time to enjoy these looks and locks of adorable babies of Highland cattle, and your heart will be filled with a pleasant warmth, that’s guaranteed.